As we continue the countdown to the launch of Halo Wars 2, Xbox and 343 Industries look to awaken your inner strategist and test your wits in these two new live-action trailers. We find the two faction leaders – Atriox, leader of the Banished and Captain Cutter of the UNSC Spirit of Fire – plucked out of their intergalactic conflict and engaged in a “War of Wits” in what can only be described as relatable struggles. 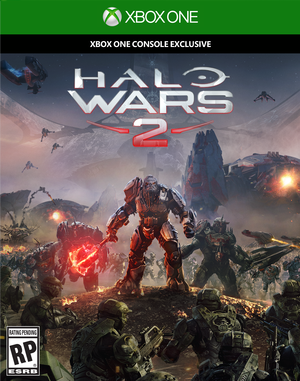 In each trailer, both Atriox and Cutter use their strategic military minds to fight it out over the ownership of an airplane armrest or haggle over the price of a used car. Only the strategist who best knows his enemy will win. Don’t forget; Halo Wars 2 launches on Feb. 21 (Feb. 17 for Ultimate Edition owners) and is an Xbox Play Anywhere title, so a single digital purchase of the game on Xbox One or Windows 10 will include the other version at no additional cost. Stay tuned to Xbox Wire as we continue to share more news about Halo Wars 2 in the upcoming weeks, and don’t forget to join 343 Industries for the launch live stream event on Feb. 16.